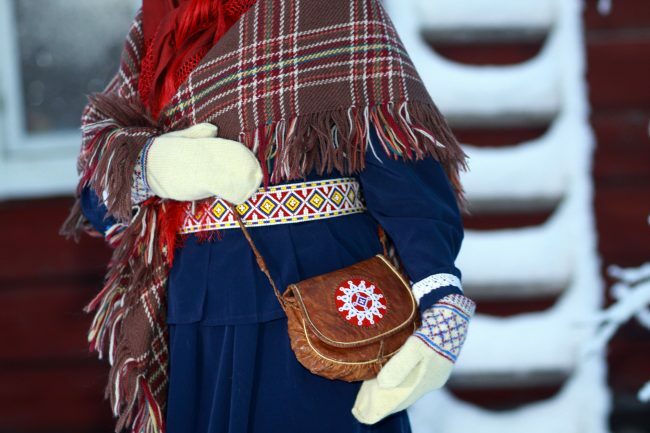 The Sámi are Europe’s last remaining indigenous peoples. Northern Sámiland is unique in the world, as it is the only area that is home to three different Sámi tribes; Inari Sámi, Skolt or Eastern Sámi and Eastern or Mountain Sámi. Three different Sámi languages are spoken in Sámiland; Inari Sámi, Skolt Sámi and Northern Sámi. Five different types of Sámi national costumes are used in Sámiland; Vuotso, Inari, Utsjoki, Enontekiö, and Skolt Sámi costumes. The Sámiland villages still has a living, authentic and particularly diverse Sámi culture.